Eat your greens . . . and pinks and yellows. 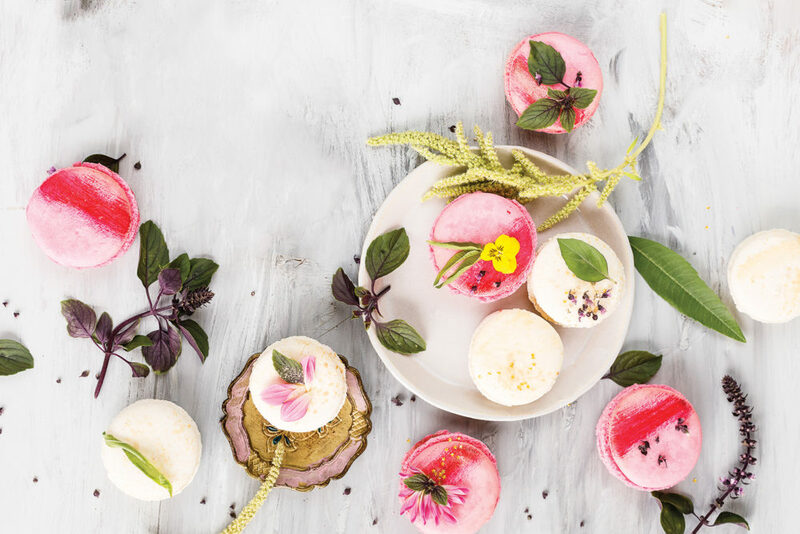 Edible flowers are growing on us. 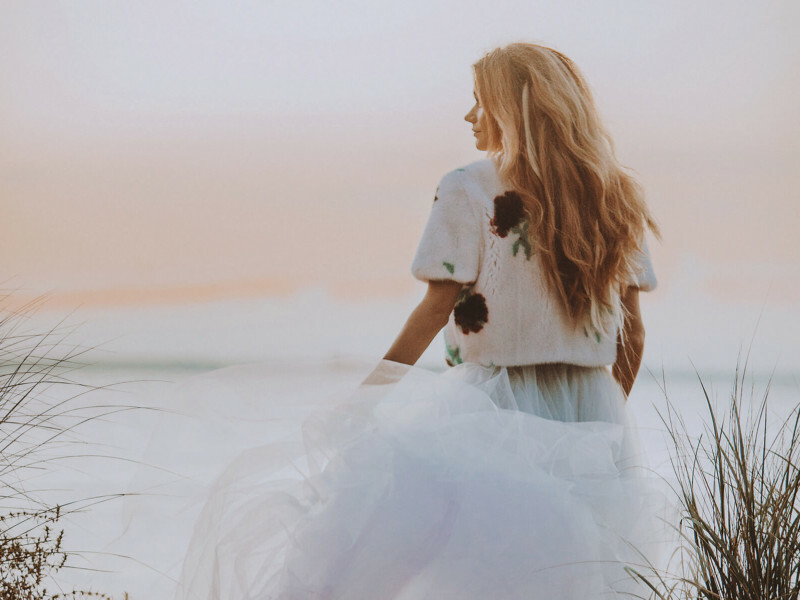 The choices are plentiful, and so are the possibilities. 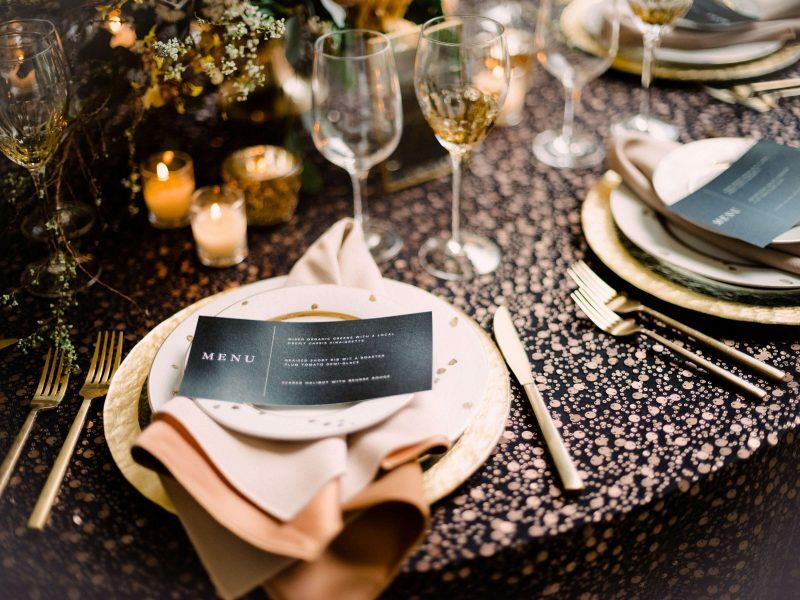 A few blooms can take an engagement party from simple to chic, whether added to something savory, something sweet, or a modern cocktail. 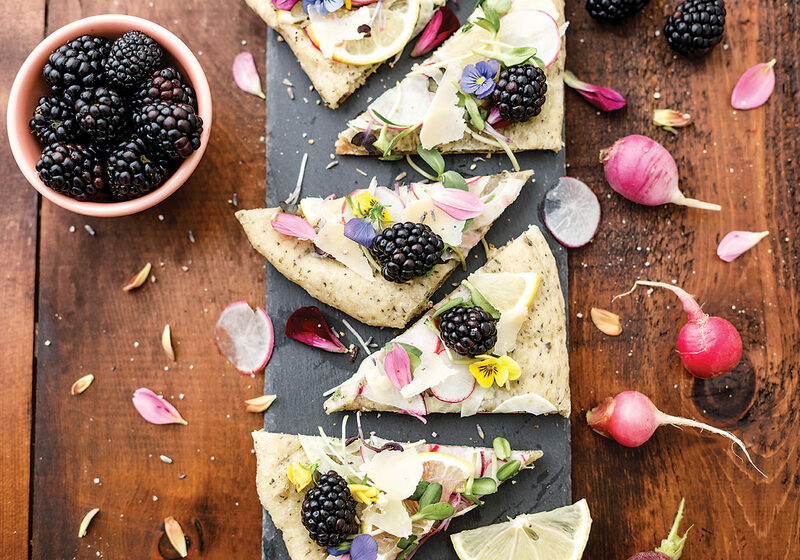 Garlic, shaved fennel, radishes, lemon, blackberries, and sunflower sprouts with shaved Parmesan flatbreads. 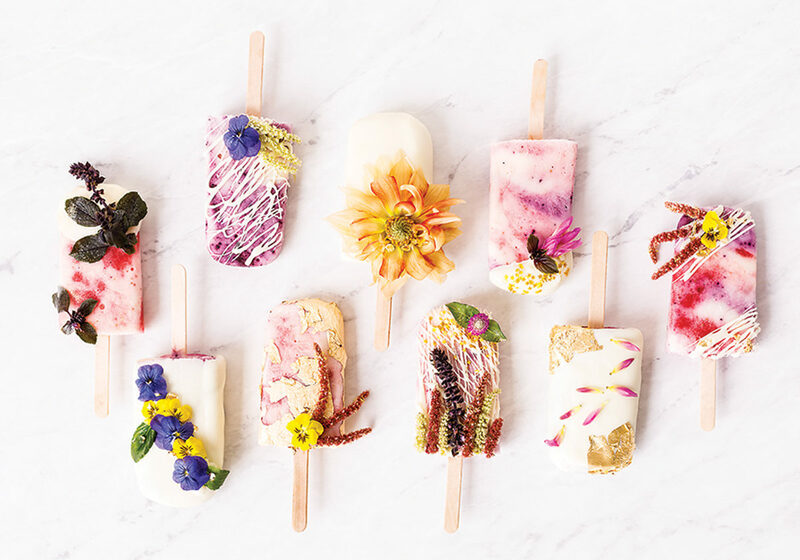 Raspberry, yogurt, white chocolate and blueberry, yogurt, white chocolate ice pops. 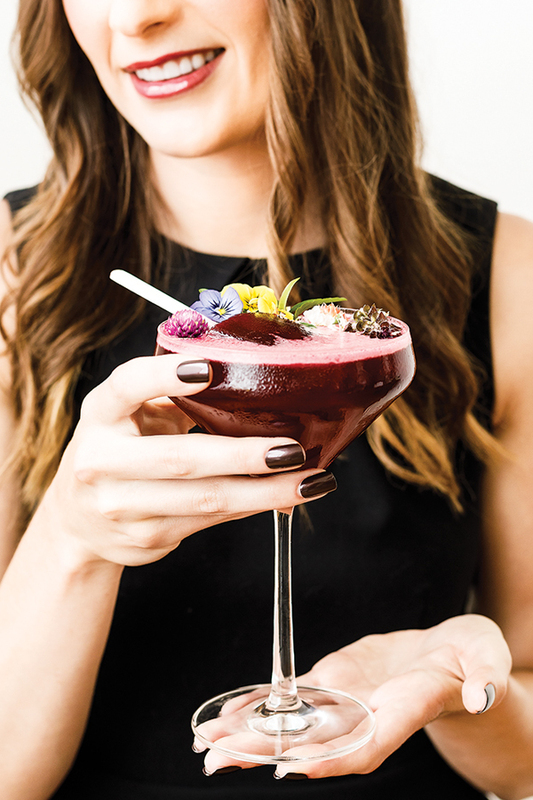 The Aliante cocktail, created by Gnocco, with a hibiscus ice pop and edible flowers. 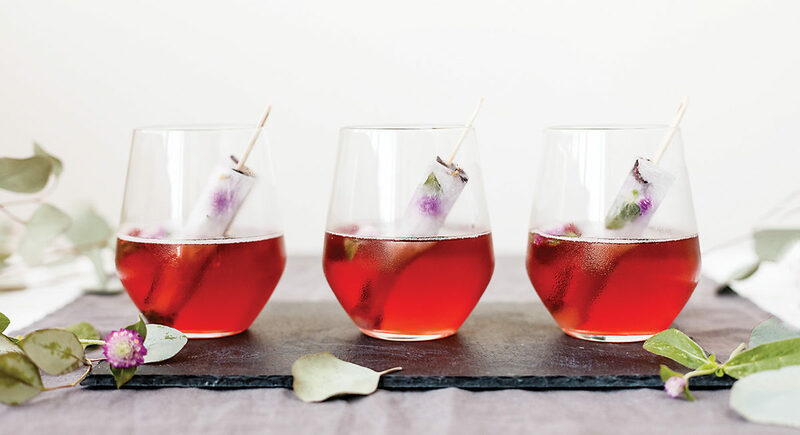 Elderflower lemonade popsicle with lemon verbena and gomphrena in glasses of berry-fused sparkling wine. 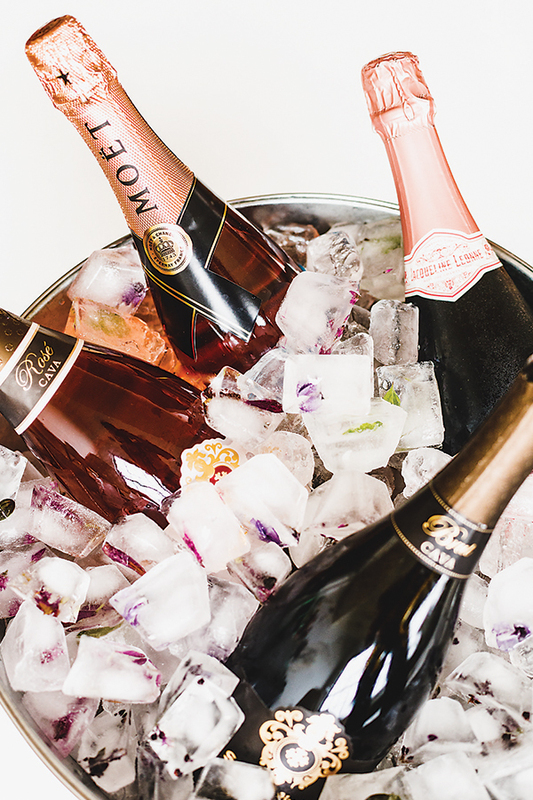 Flowers frozen in ice cubes to fill a champagne bucket.